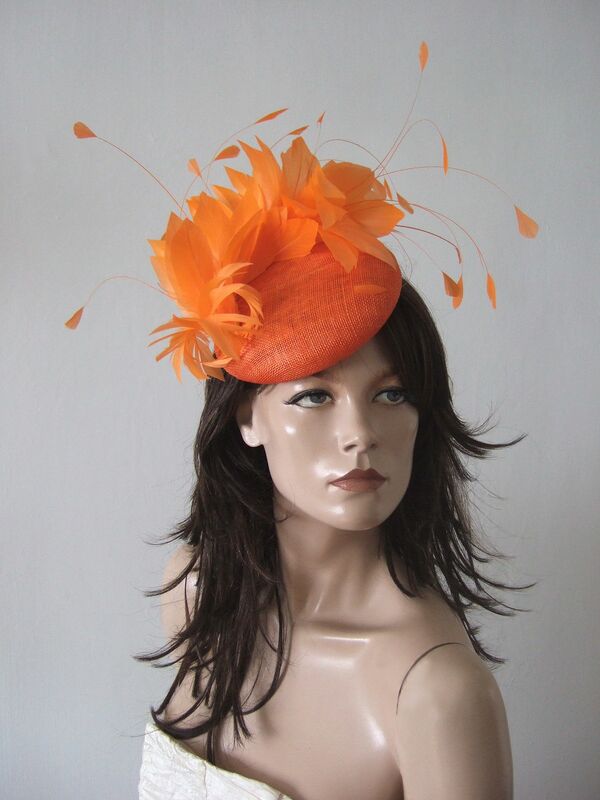 Orange Fascinator Hat Headpiece. 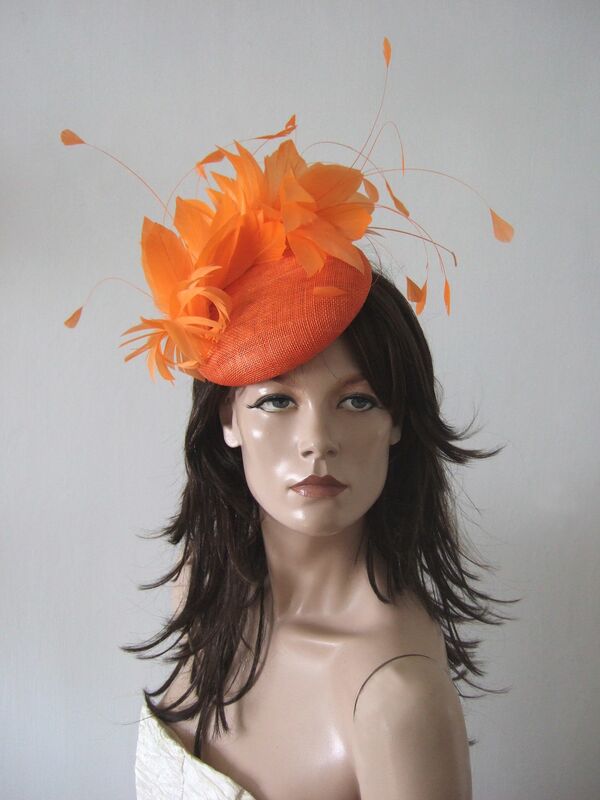 Orange Mother of the Bride outfits, Wedding Guest Hats, What to wear for Royal Ascot. 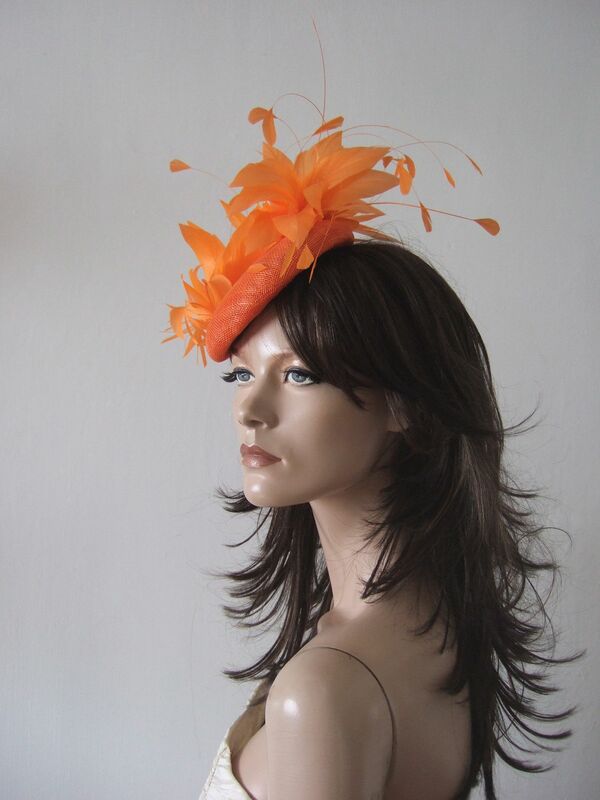 Bright Orange Fascinator. 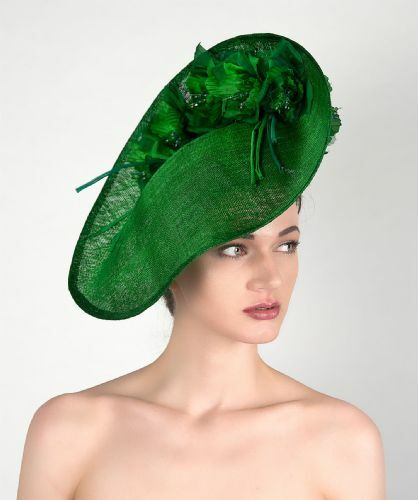 Royal Ascot Hats. 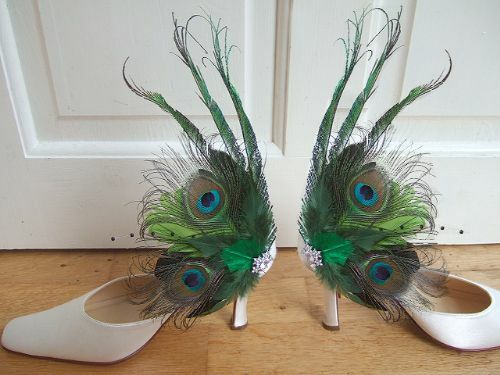 Perfect for Spring / Summer Wedding Guest Outfits. Is Royal Ascot Royal Enclosure permitted. 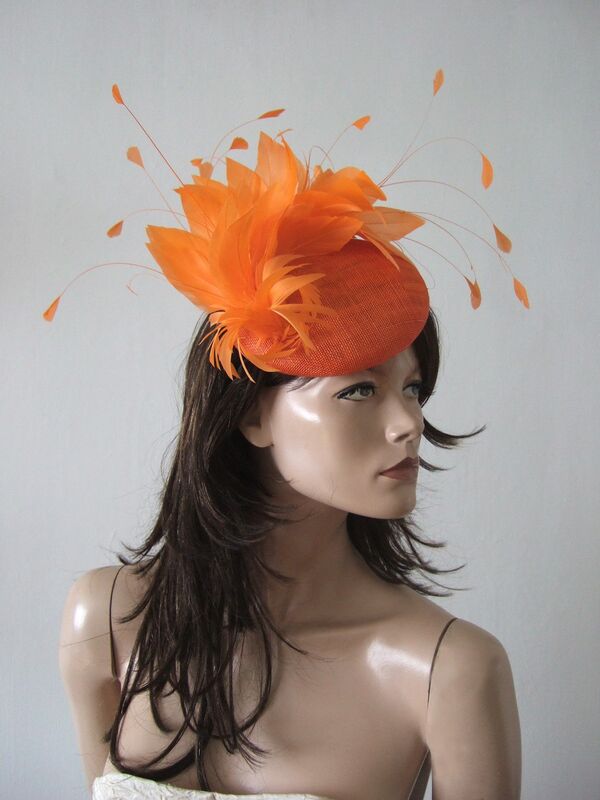 "Moya" is a Smartie Base Headpiece Handblocked and Hand Sewn in Orange and dressed with Orange Goose Feathers Fan. 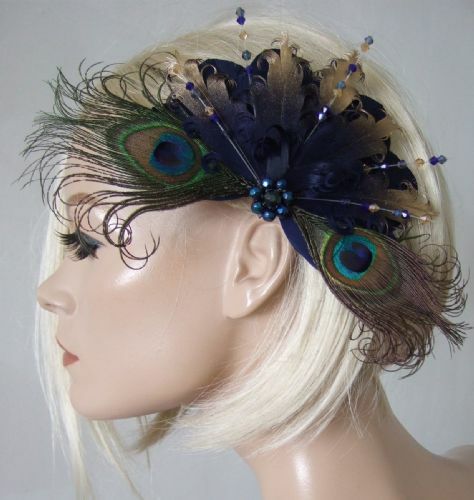 This headpiece is totally handmade to order, so please do allow the full 5 days for the headpiece to be made before dispatch. 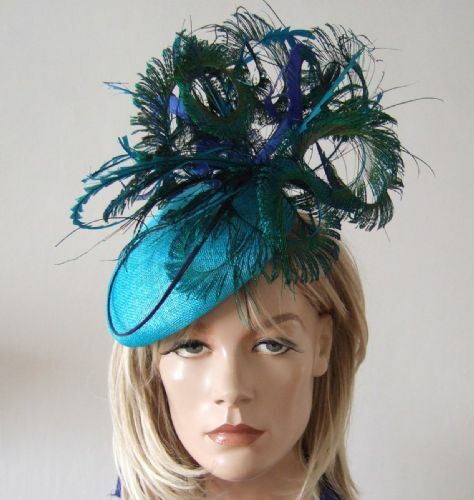 Eyecatching headpiece hat for Mother of the Bride or Guests of a wedding. 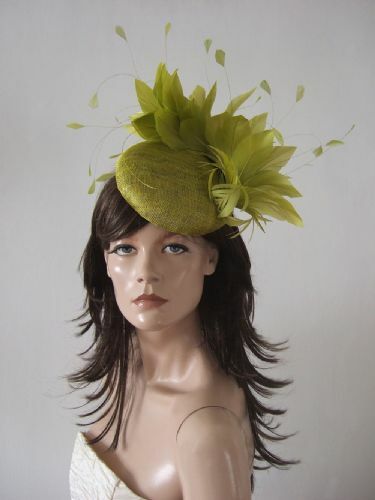 Perfect for a day at the races at Royal Ascot, Epsom Derby. Kentucky Derby or Melbourne Cup. Smartie Measures 6" diameter, with the feathers reaching further out of course. 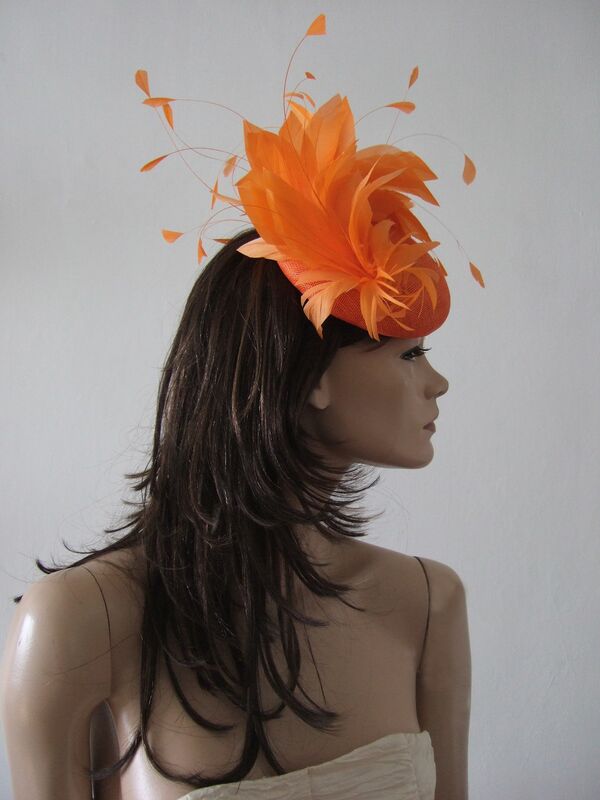 YES This headpiece IS ROYAL ASCOT ROYAL ENCLOSURE PERMITTED if are considering for your Royal Ascot outfits. Attached using a comb and an a elastic band that you wrap around the back of head, concealed under hair. Please take note that this headpiece is made to order, with 5 working days required to make this headpiece before dispatch. Can be worn left or right hand side.